Great tip! Do you have any suggestions for preserving potatoes?? I parboil sliced potatoes, then put them in my dehydrator. I store them in a mason jar once they're completely dry. There's a way to vacuum pack the jar. I can't get frozen onions to caramelize correctly. Do you have some tips for that or is it not possible? I don't have tips for getting them to carmelize after freezing, but I do know that you can freeze carmelized onions. If you frequently use carmelized onions, it may be worthwhile to caramelize a large batch and then freeze them in small portions to use later. 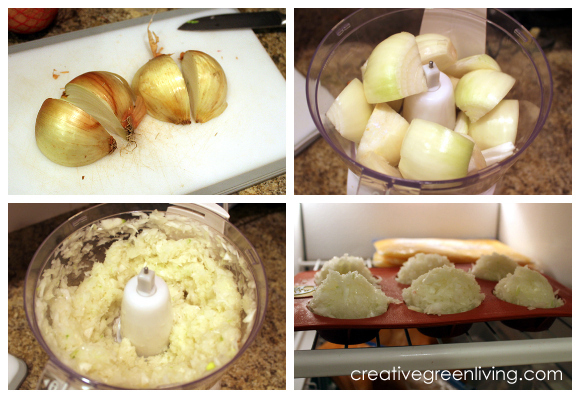 Freezing onions makes the cell walls break and this causes them to thaw out weepy and mushy. Parboiling before freezing improves this. This is a great tip! I just recently started doing weekly meal plans, and this is such a great way to reduce on waste! Thanks! Pinned this! I actually buy frozen chopped onion because I hate it making me cry. Maybe I could handle this. 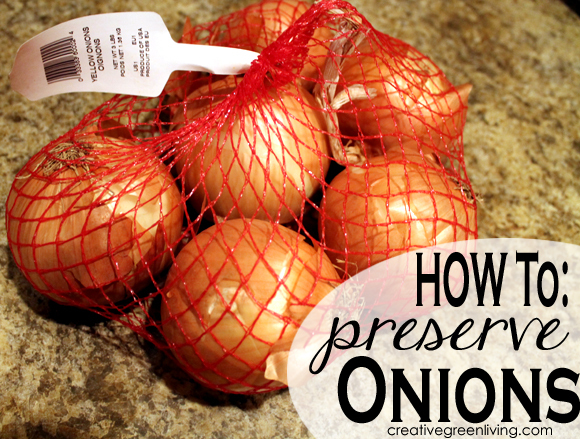 You can place your onion in the freezer for about 20 minutes before cutting. "When" I do this it doesn't burn my eyes. hold a match in your mouth or chew gum it works like a charm to stop the tears. WOW, that is an awesome way to do that! Saw this on Pinterest and knew I had to stop over to see what it entailed! I'm also featuring this on PINASTIC Friday later today. Hope you stop by and say hello! We've done this for YEARS!!! But, I take the time to chop them as I, personally, don't like the inconsistancy of the "chop" when they're done in the processor.